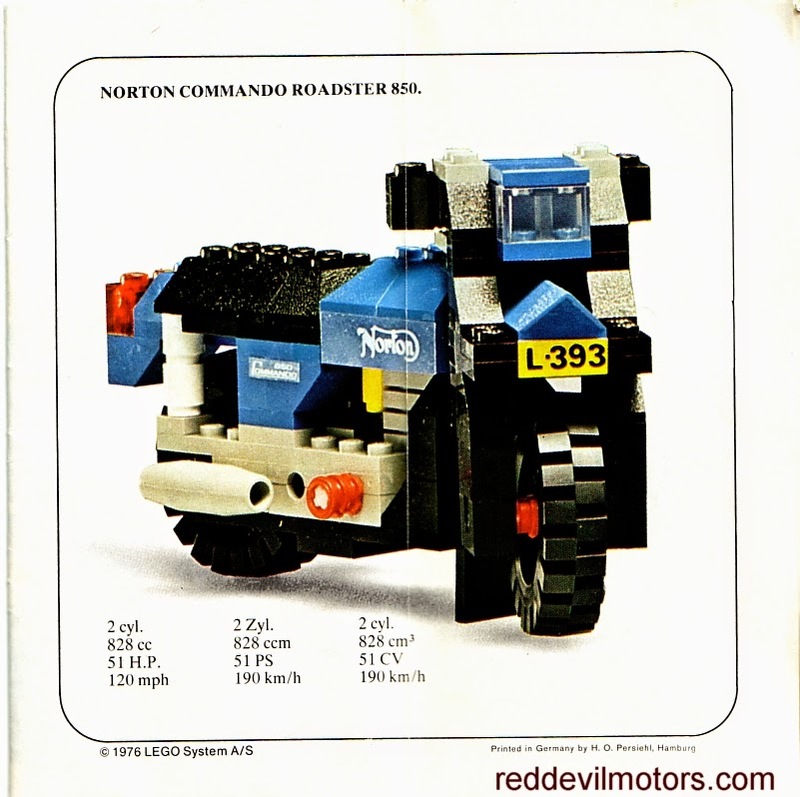 Lego model 393 - Norton Commando. 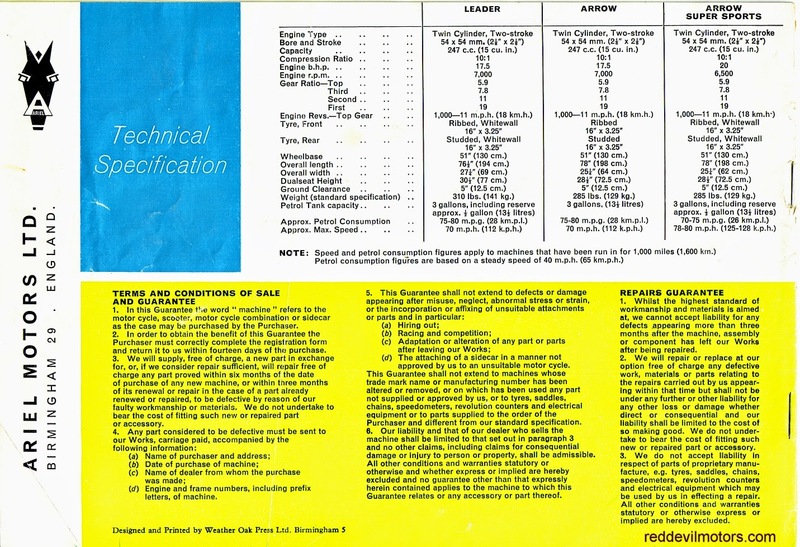 I love that the sheet even has specs for the Norton. 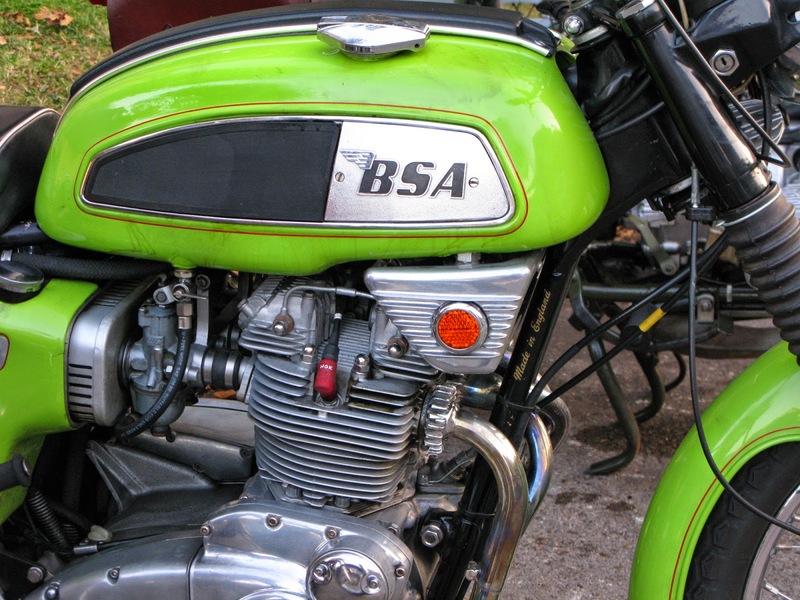 A nice clear shot of a BSA M20, shame the rider and pillion have been cropped off! 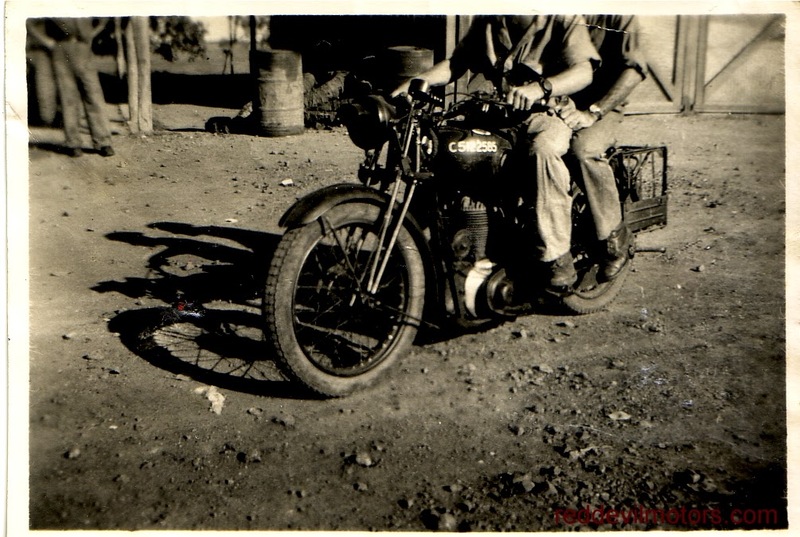 The picture is inscribed to the reverse, 'Ahmednagar, India'. 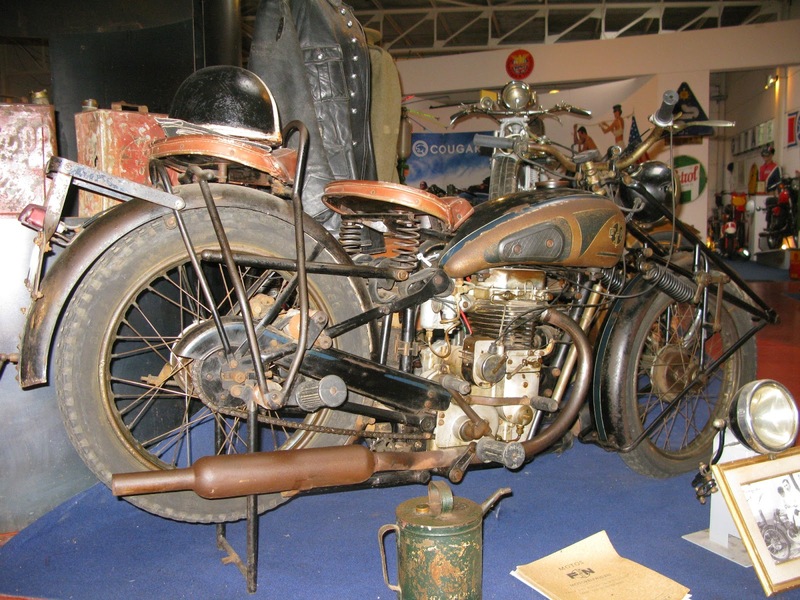 Ahmednagar is in the Maharashtra province and was home to the Royal Tank Corps and Indian Armoured Corps in the times of the British Empire. Ahmednagar is still an army town and there is continuation from the Empire as the the Indian Army Armoured Corps is based there. 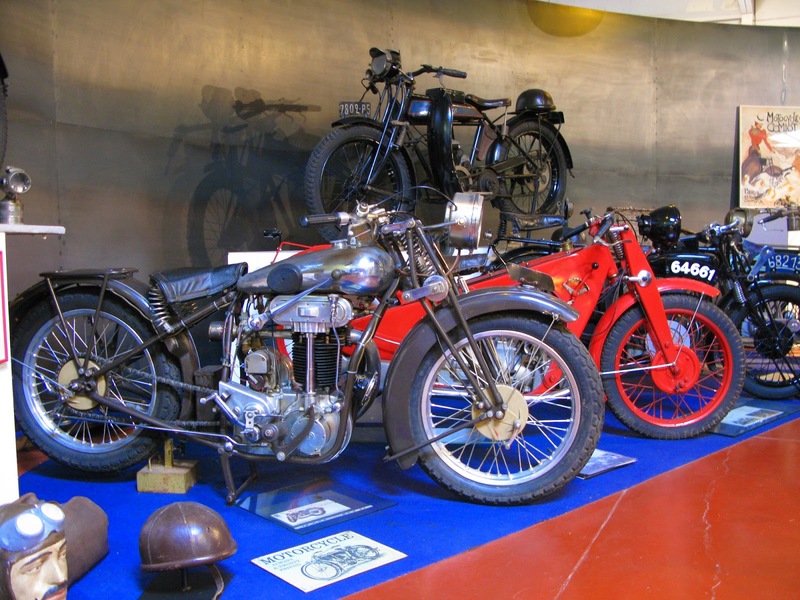 The Cavalry Tank Museum in the city seems like it would be well worth a look if passing by. As an aside Nehru was held for a while by the British at Ahmednagar Fort and Ahmednagar was the birthplace of Spike Milligan. No expenses spared (!) 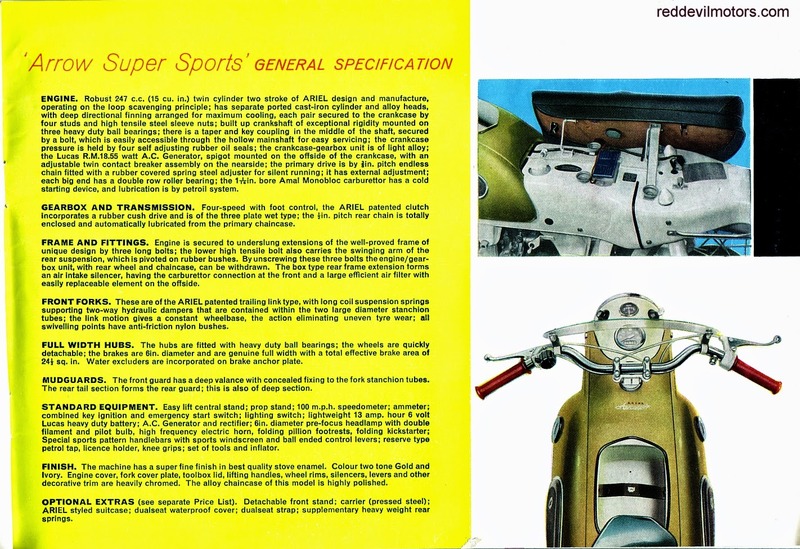 single page multi-lingual brochure for the 250cc Monza model from Ducati. 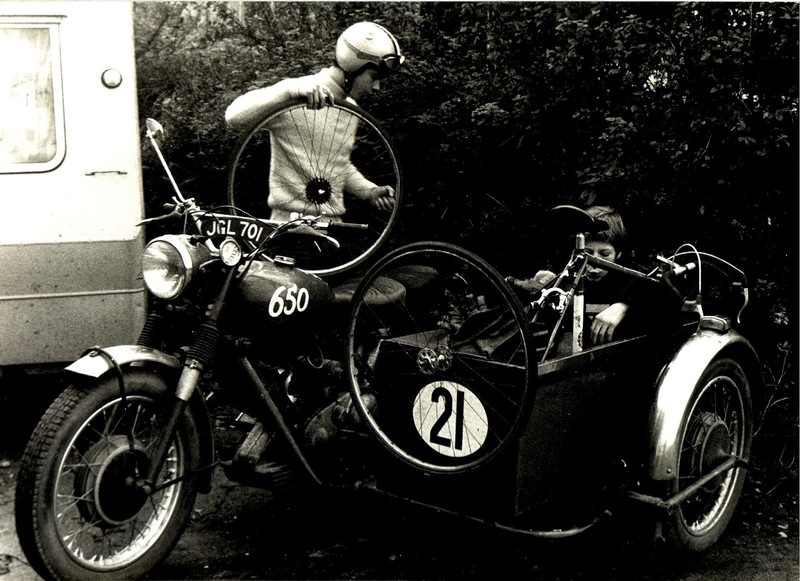 Panther combo pressed in to service as a racing cycle transporter. Panther outfit as race tender vehicle. 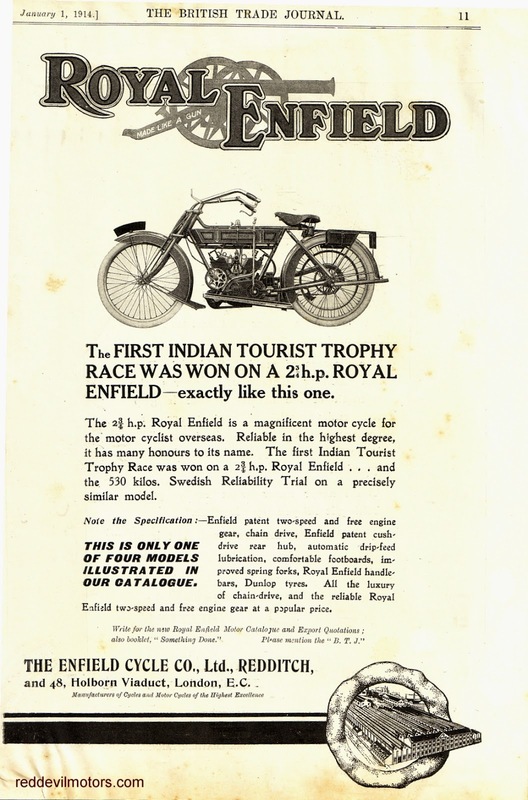 A while back I came across a bundle of Royal Enfield advertising proofs dating from 1912 to 1914. This particular one is from The British Trade Journal 1 January 1914. 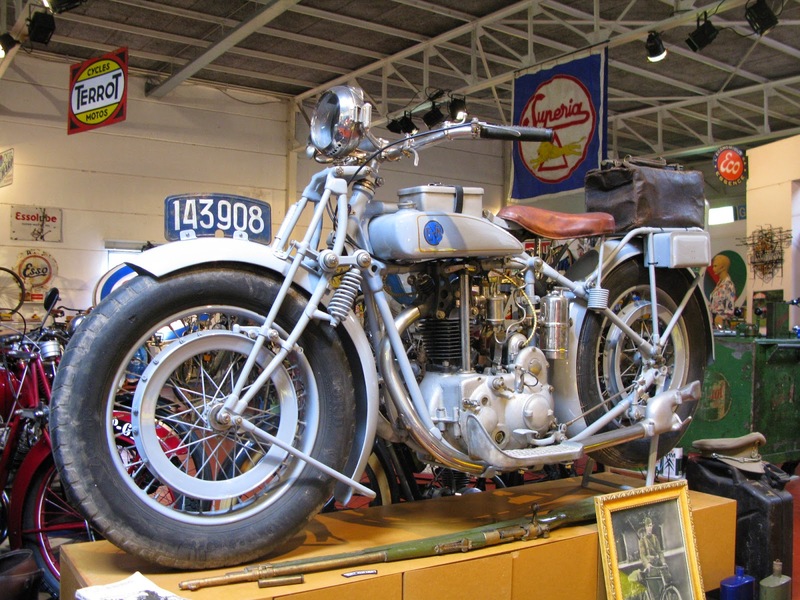 It's easy to forget nowadays that even from the early days of motoring it was an international market and that motorcycle competition was taking place in the four corners of the globe not just in Europe and the States. 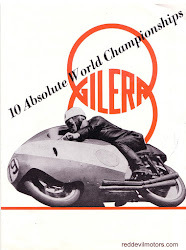 victory in the first Indian TT races. In the immortal words of Britney Spears, 'Whoops I did it again'. 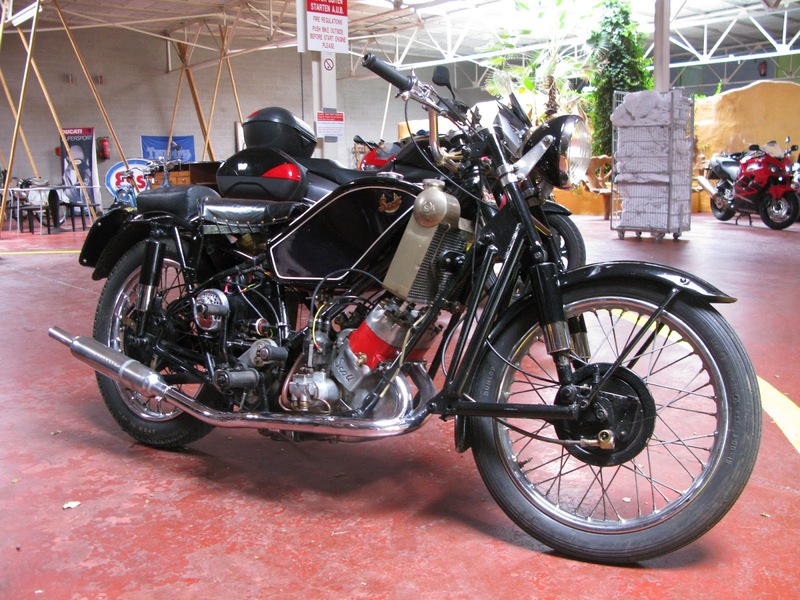 The 'I need a Vincent' fighting fund was going well with two bikes sold and hitting something like a huge 5% of the funds required!! 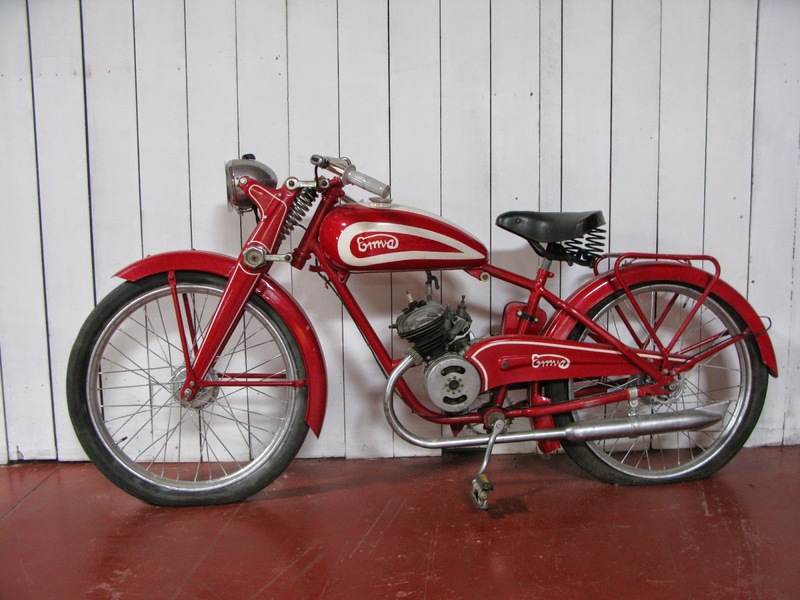 Then I saw this vintage Quadrant for sale on ebay for about the same money as I had in the bike savings account, put in a bored at work bid and ended up buying it. Not that I regret it at all, the bike is a cracker. 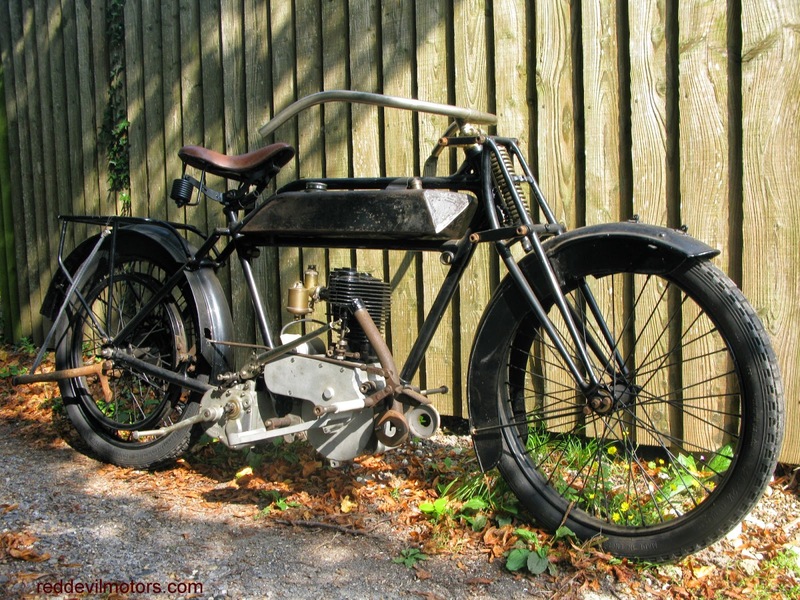 It's a 1919 Quadrant 4.5 HP (by my reckoning 550cc). 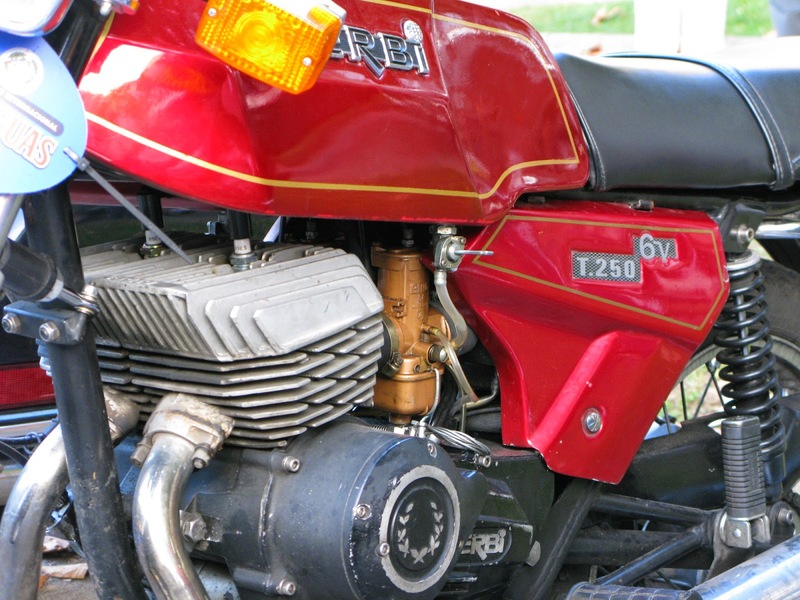 The engine is unusual in that it has the inlet valve behind the cylinder barrel and the exhaust valve to the side. 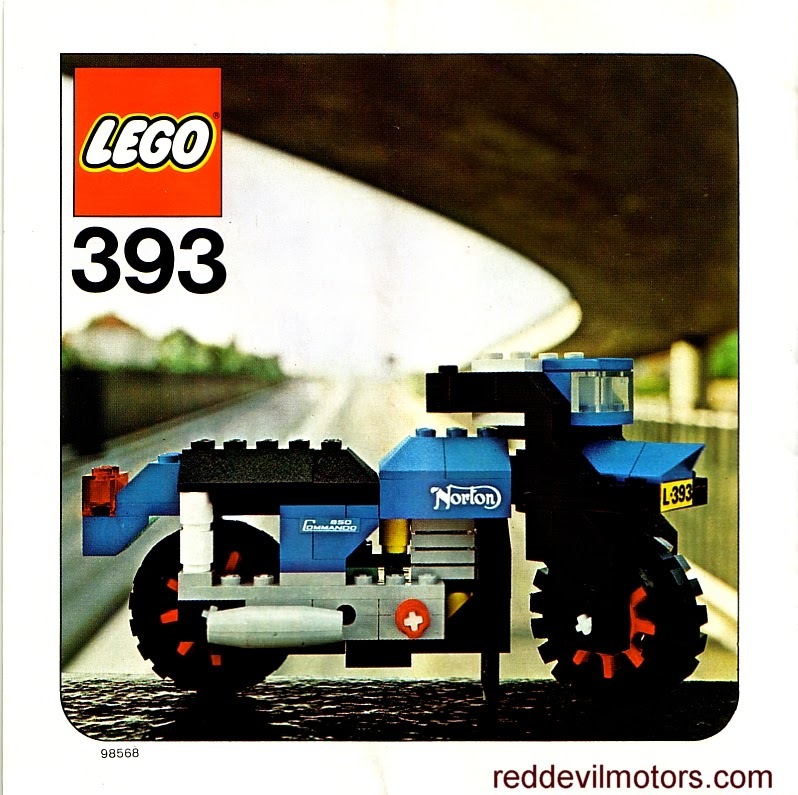 It seems like the machine may be a sole survivor, it's a bit of a factory parts bin special. 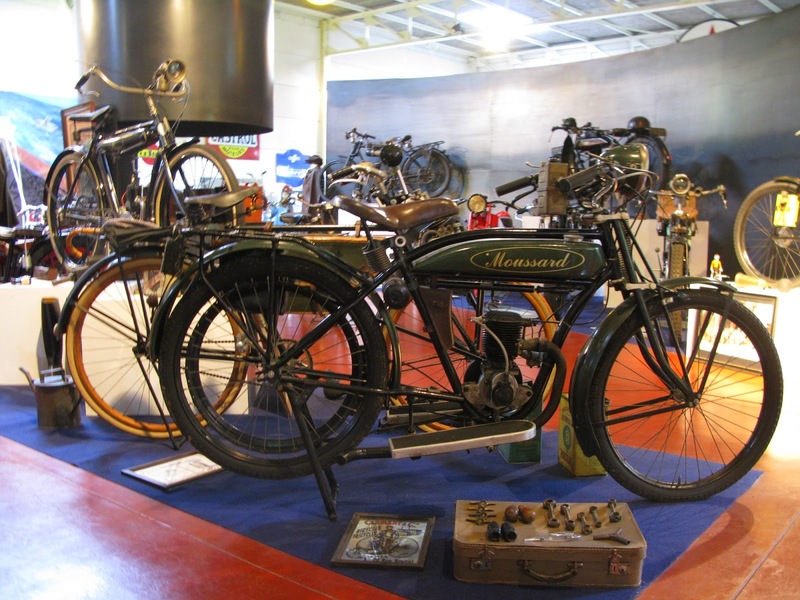 Quadrant ceased production of motorcycles during the First World War in 1915 and resumed post-war in 1919. 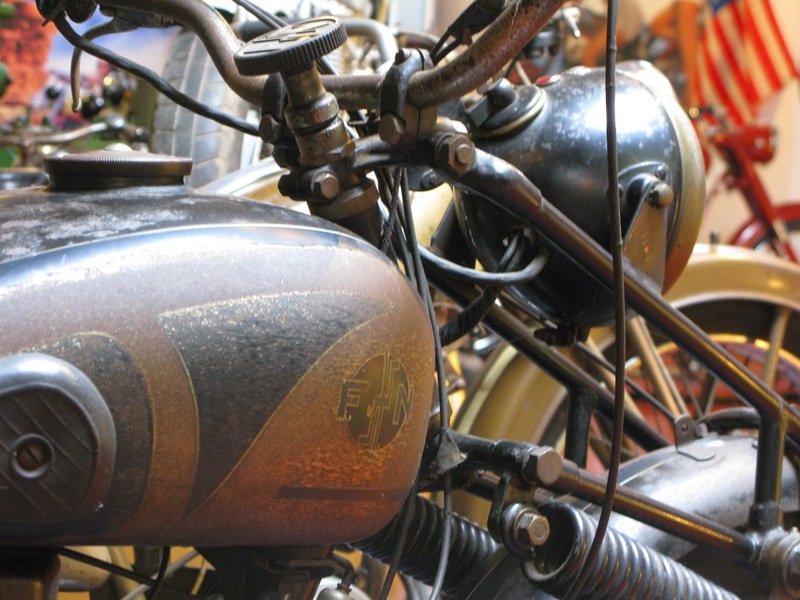 This particular machine seems to be a mix of pre and post-war parts. 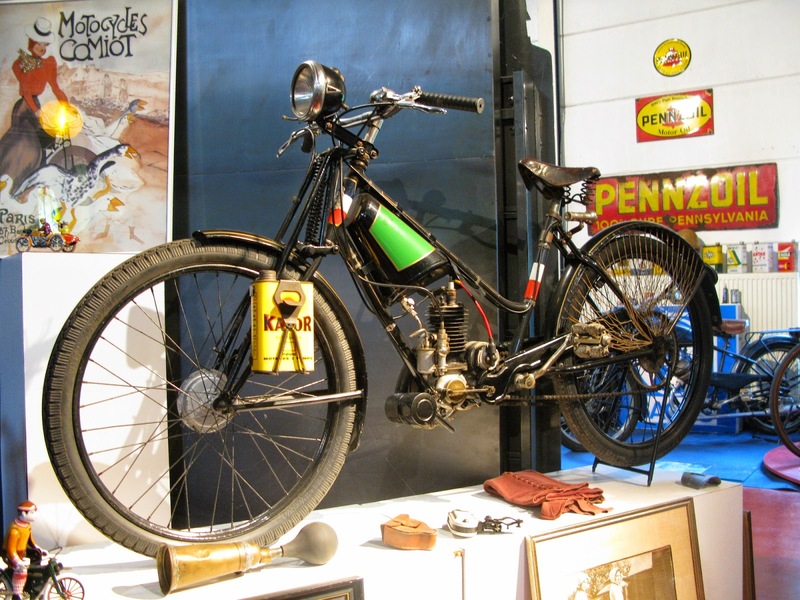 Much of the bike, including frame is of 1915 style but it is fitted with a Sturmey Archer CS three speed gearbox and chain drive. 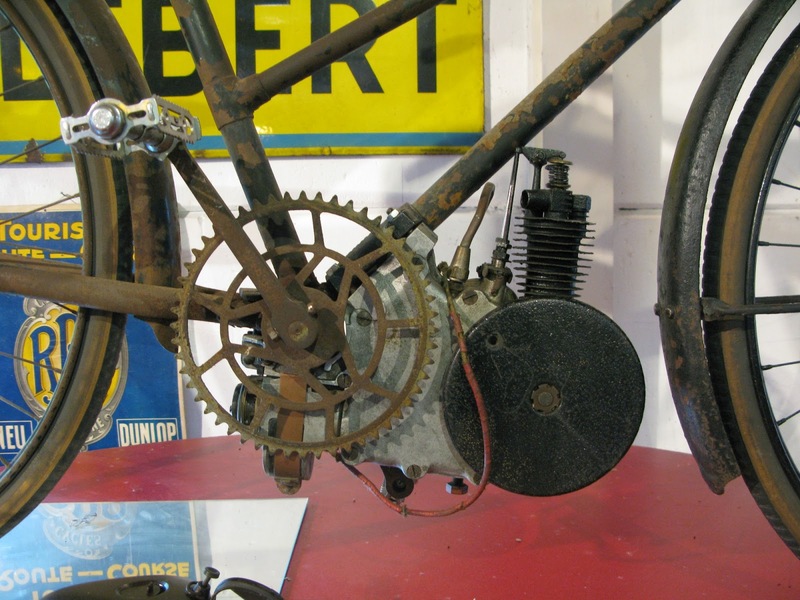 The Quadrant is largely complete, just a couple of levers missing, part of the rear brake mechanism and the front stirrup brakes. There are a couple of other projects on the go in the shed so this one is going to go on the backburner for a short while until at least one other project is completed. The Quadrant as it has passed to my stewardship. The Quadrant 30 odd years ago. 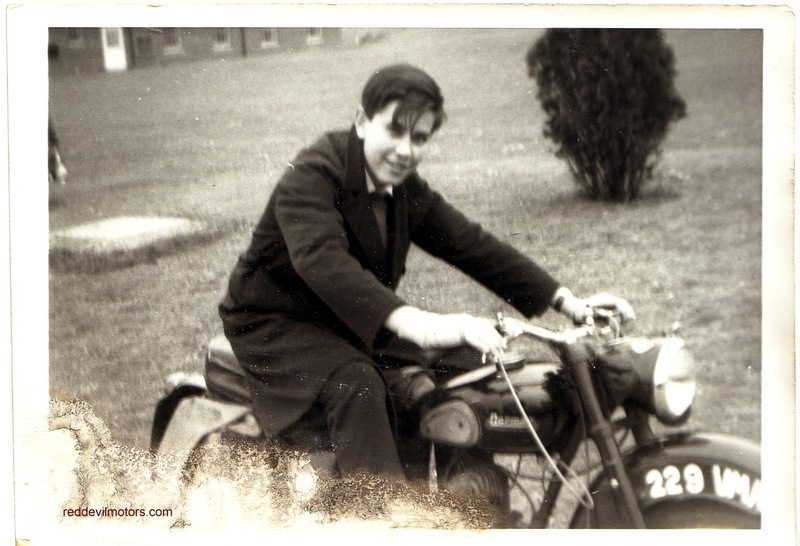 Chap looks happy with his Villiers powered Norman. 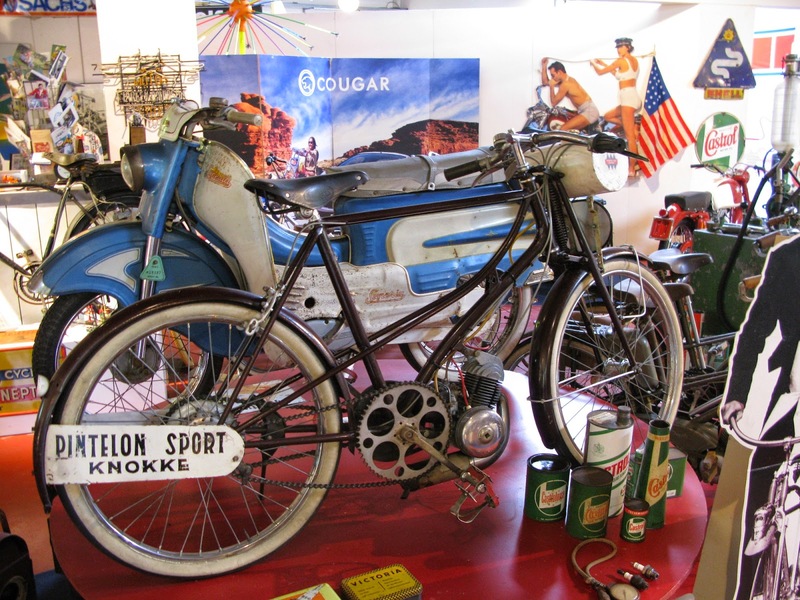 More pictures of exhibits from Johan Schaeverbeke's excellent Oldtimer Motoren Museum. of the marque before let alone seen one. to back this up though. 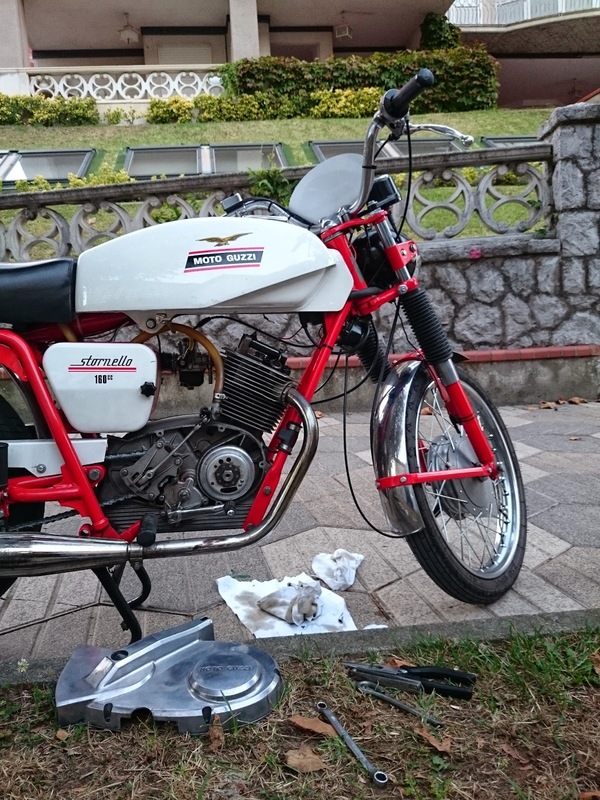 Ducati 48 Sport in original paint. the Alcyon, Labor, Nervor, Favor and Olympique brands. 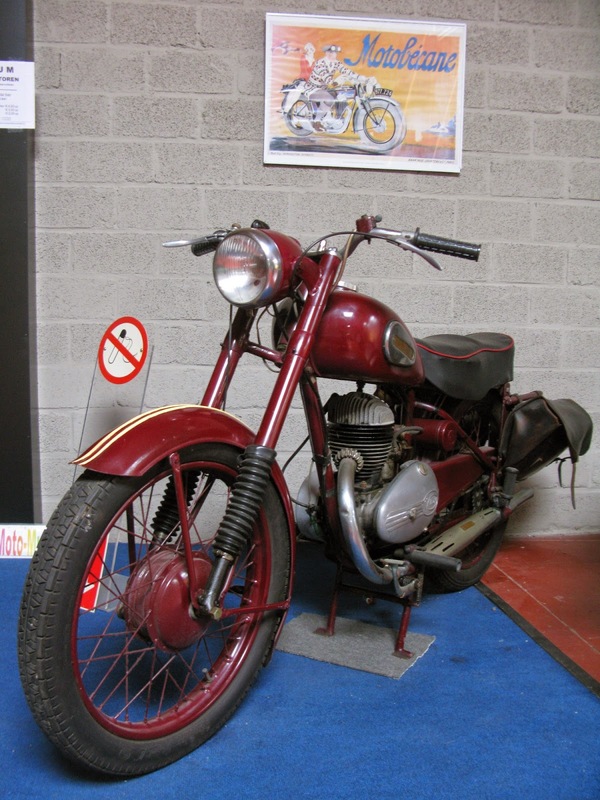 Motoconfort in fantastic original condition. 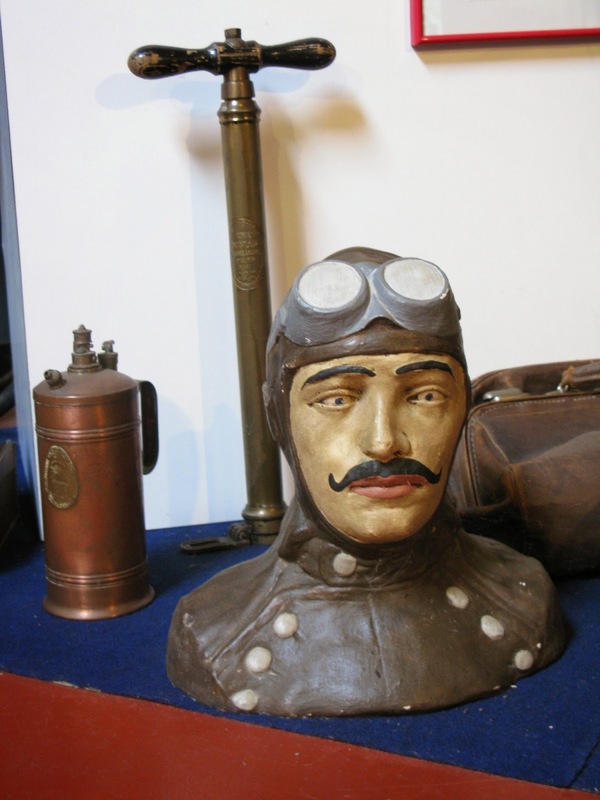 The museum is a treasure trove of ephemera. Here's one of the 'never heard of those before'. It's an Emva. 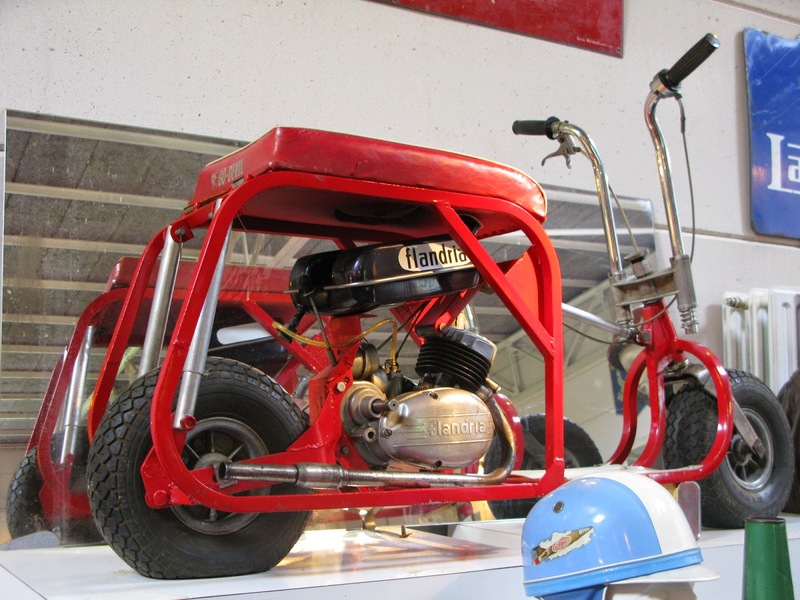 with in-line crank sets the La Mondiale apart for quirkiness though. 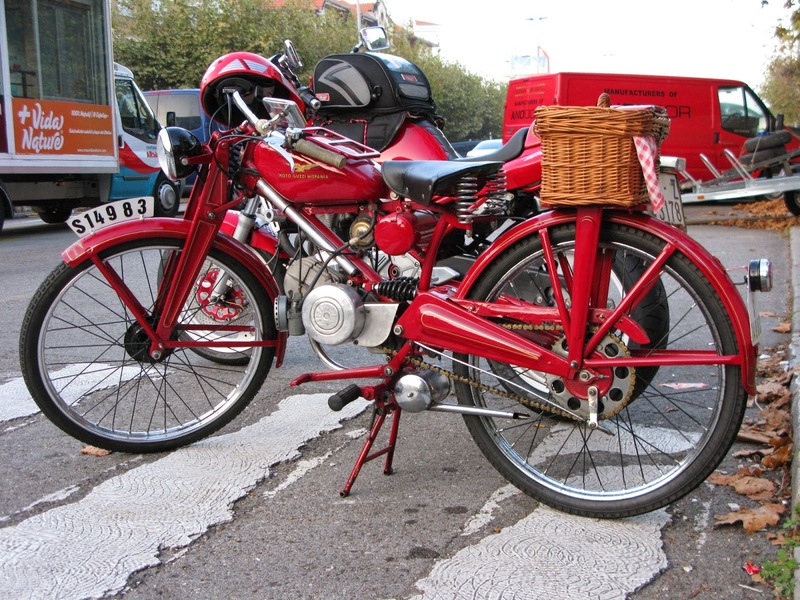 conversion match the style of the Scott nicely. 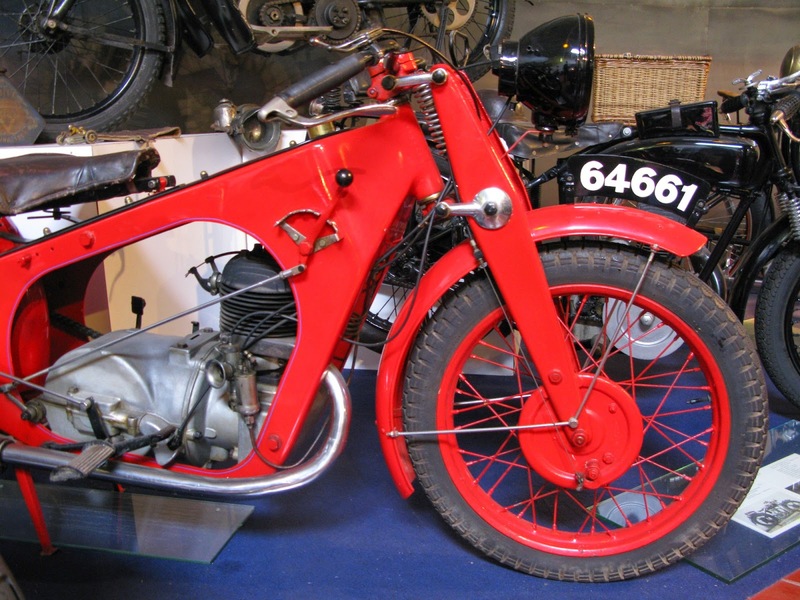 1951 BTC (Bror Christensens Fabriker) cyclemotor from Denmark. front. Enlarge and see if you can figure out how it all works. 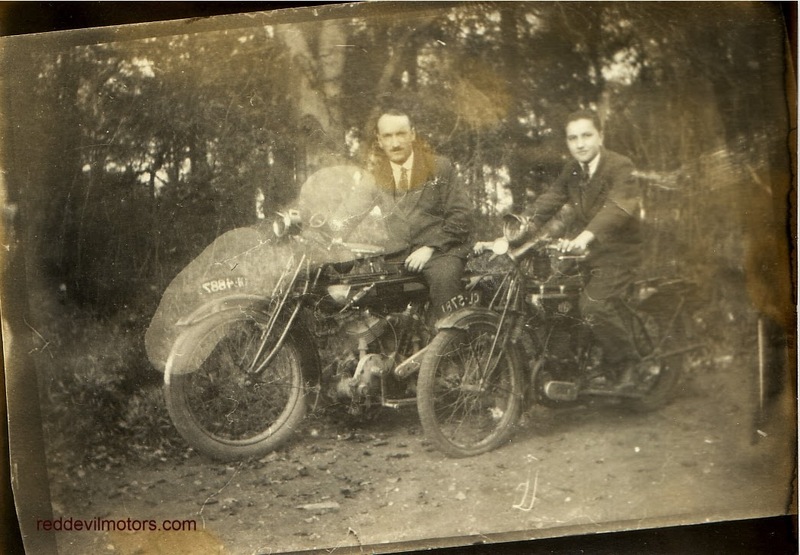 Not a great quality print (and the lop-sidedness is in the developing onto the card rather than my wonky scan!) 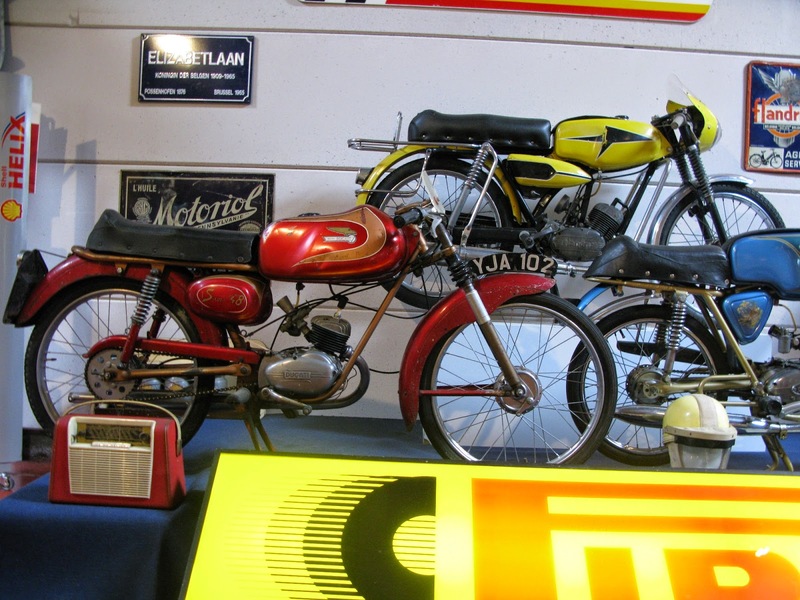 but a pair of fine machines none-the-less. 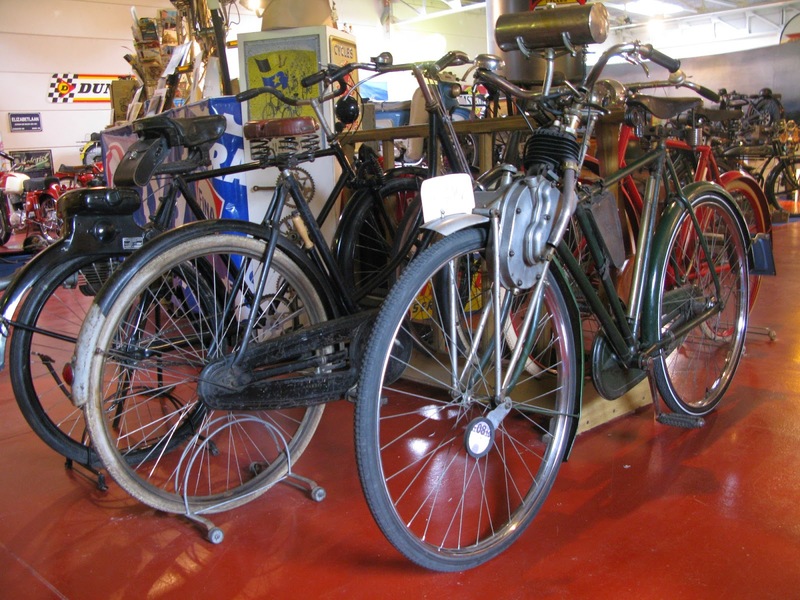 A Zenith Gradua and a Levis Popular from round about 1919. 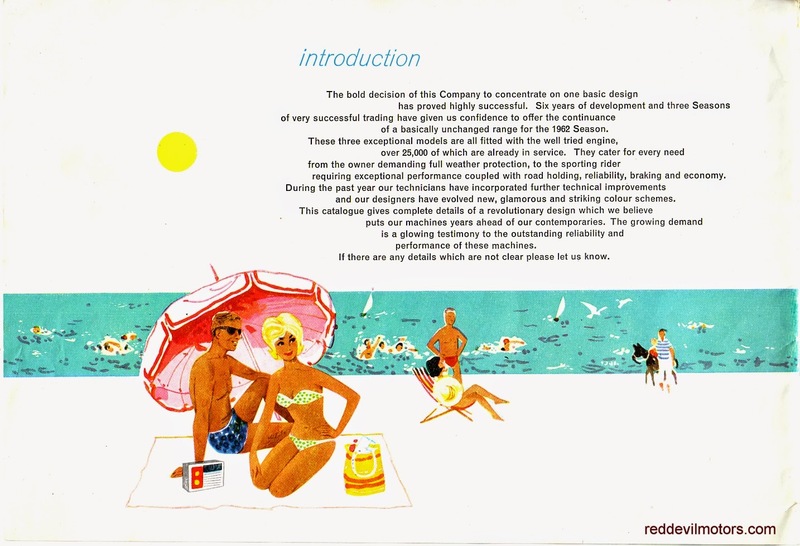 Zenith Gradua and Levis Popular. 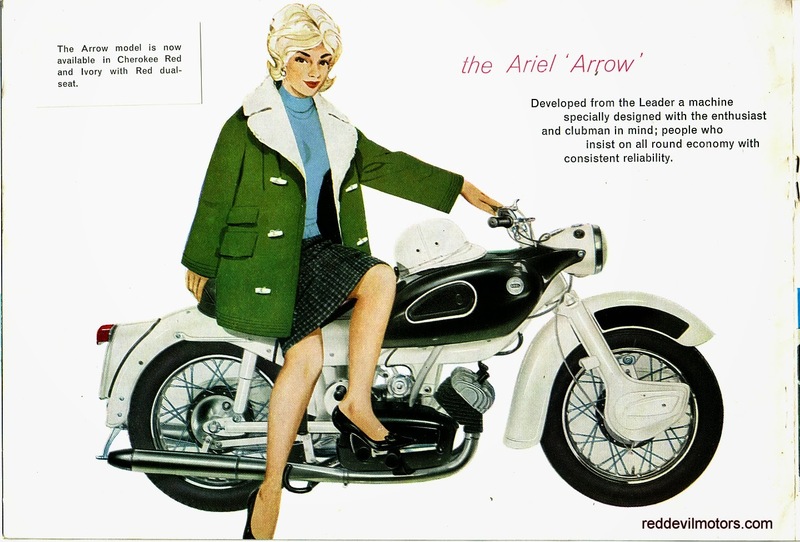 Ariel Arrow and Leader brochure front cover. 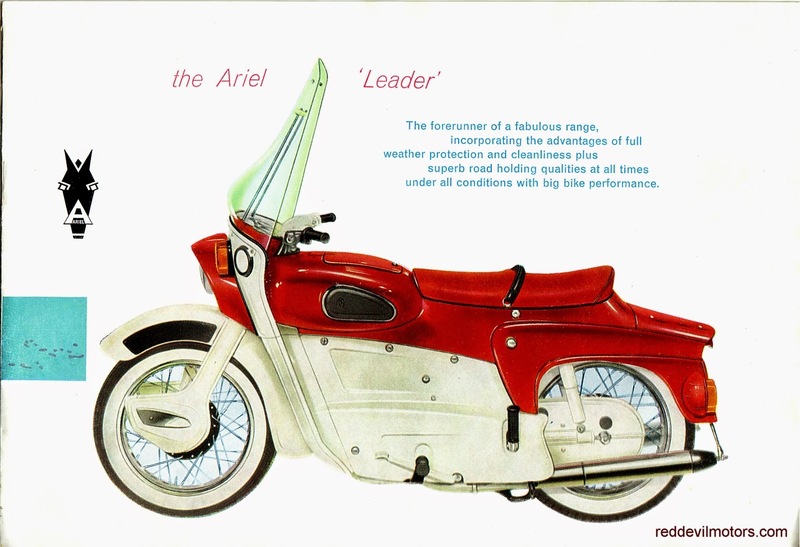 Ariel Arrow and Leader brochure page 1. 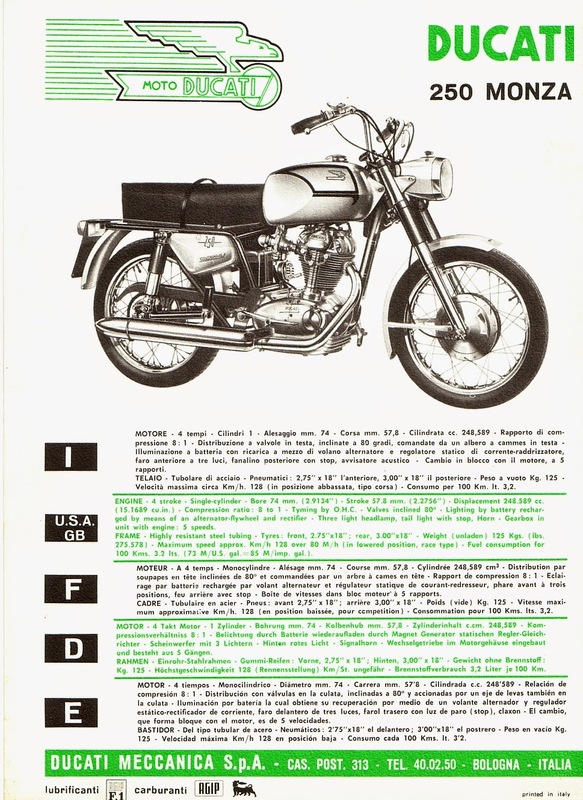 Ariel Arrow and Leader brochure page 2. 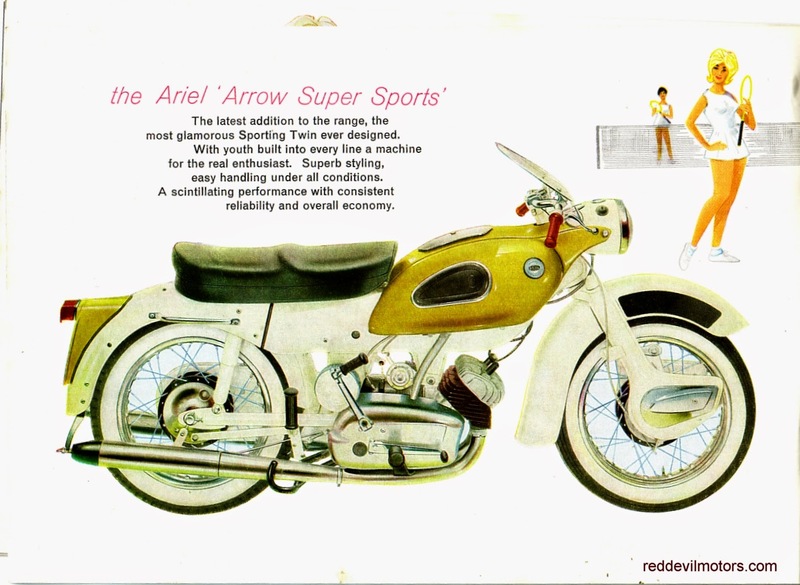 Ariel Arrow and Leader brochure page 4. 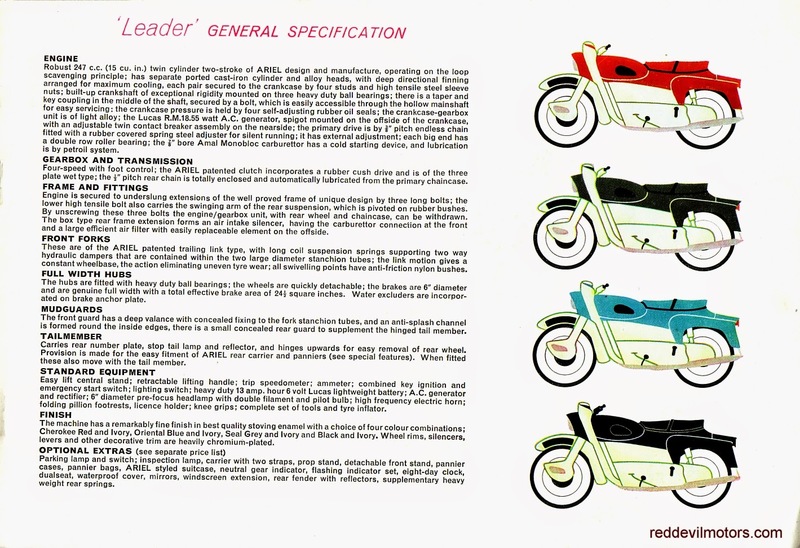 Ariel Arrow and Leader brochure page 5. Ariel Arrow and Leader brochure page 6. 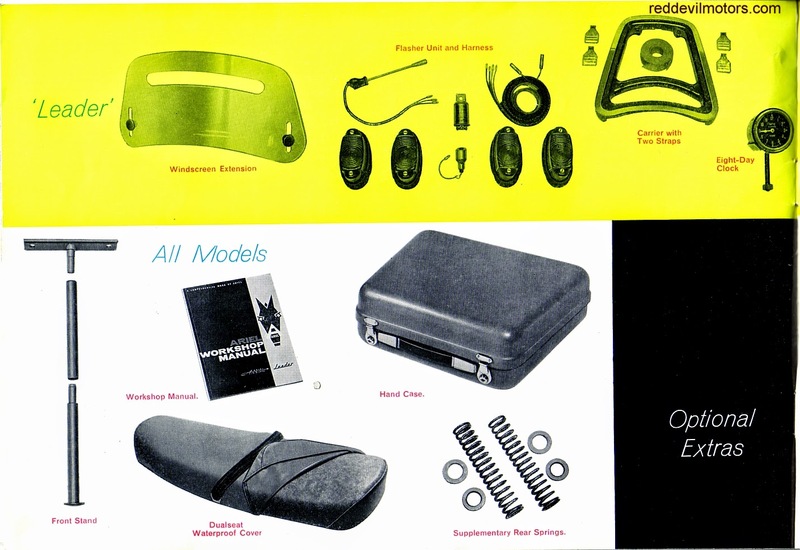 Ariel Arrow and Leader brochure page 7. 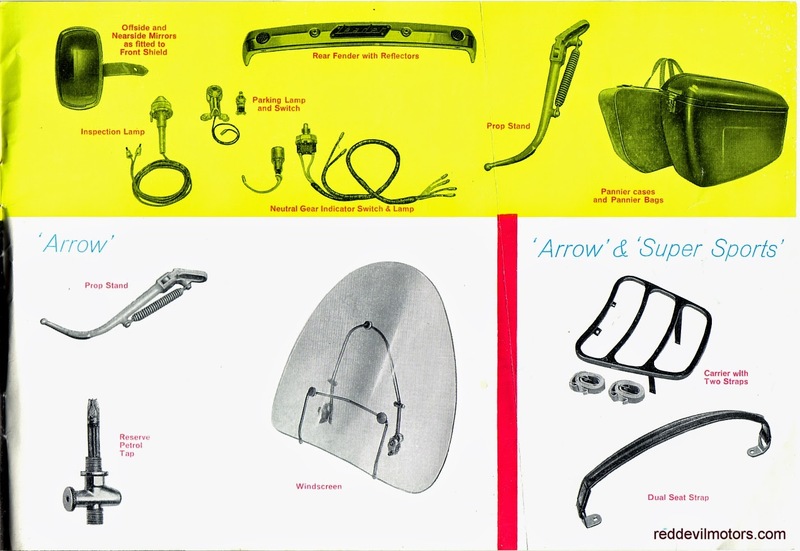 Ariel Arrow and Leader brochure page 8. 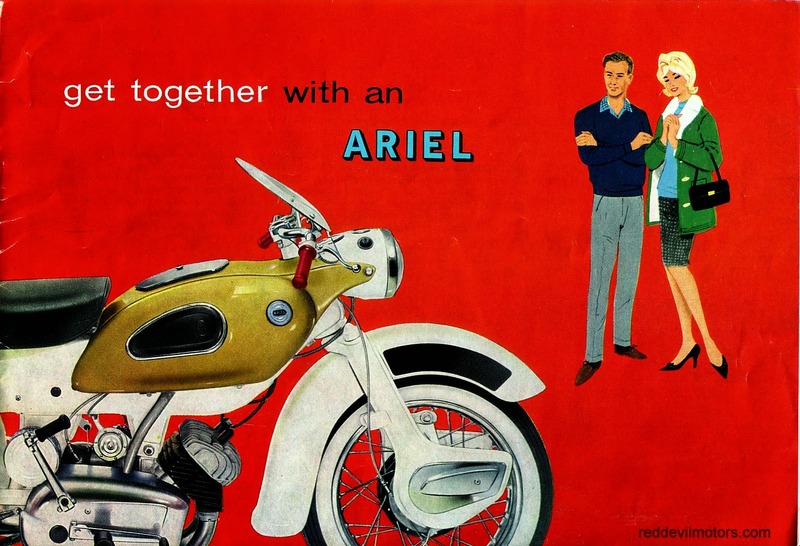 Ariel Arrow and Leader brochure page 9. 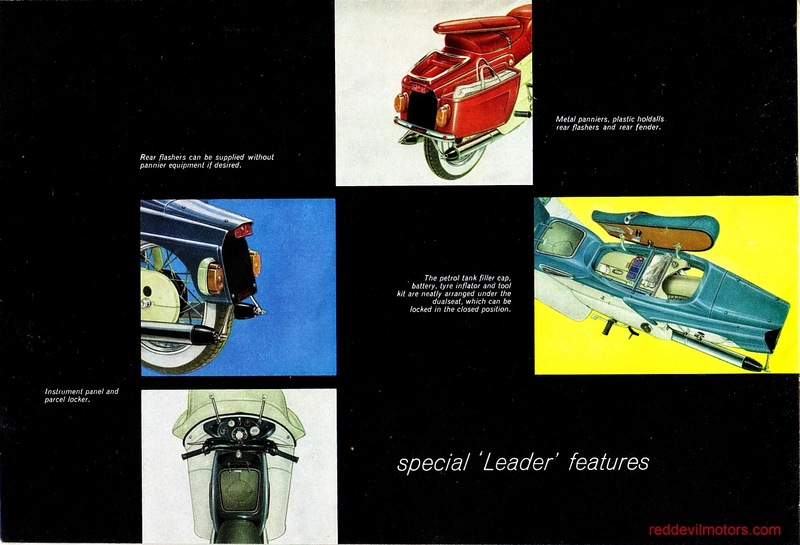 Ariel Arrow and Leader brochure page 10. 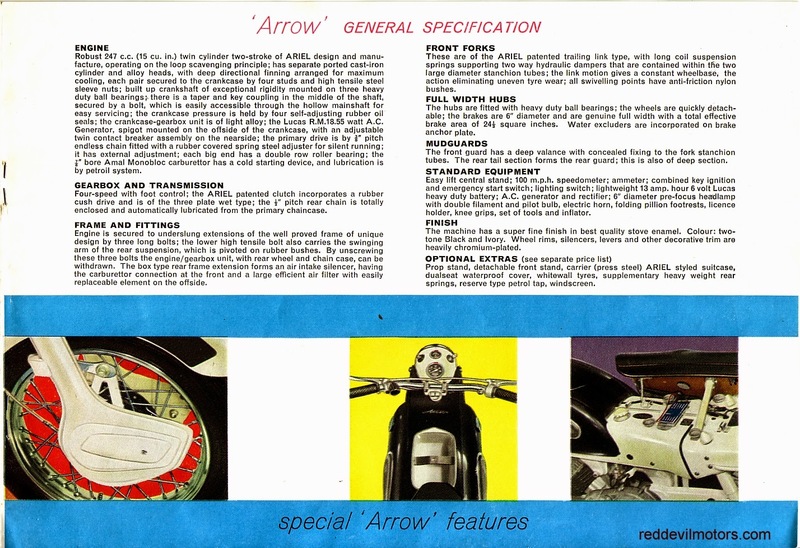 Ariel Arrow and Leader brochure rear cover. Lucky man that I am my wife bought me a pair of these last birthday. It was several months ago now and I've been wearing them since. As far as I know these are the first motorcycle jeans out there that look completely like normal jeans, and damned good ones at that. 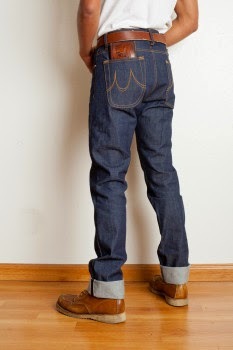 The price isn't low but neither is the quality, the denim is heavyweight and they are made in the US. 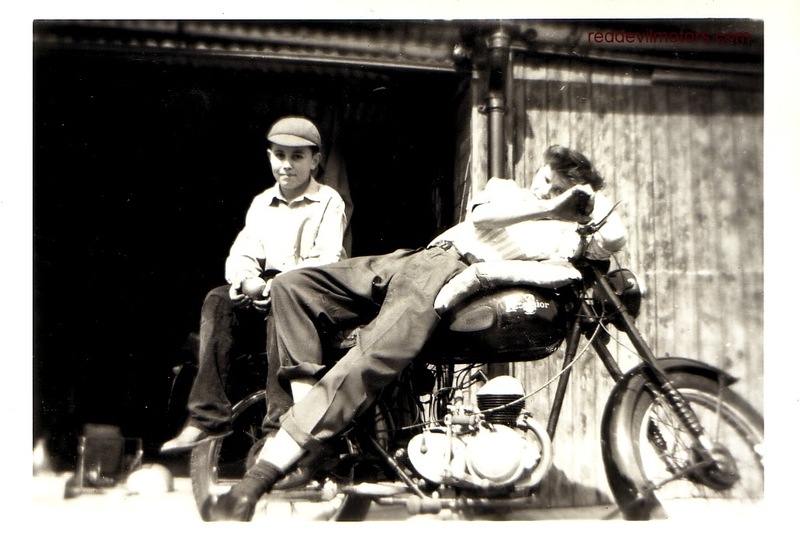 The kevlar lining covers all the vital areas and the cut of the jeans is long and relatively high waisted so that they sit around your boots whilst you are sat on the bike and there is no trace of builders bum as you lean forward. 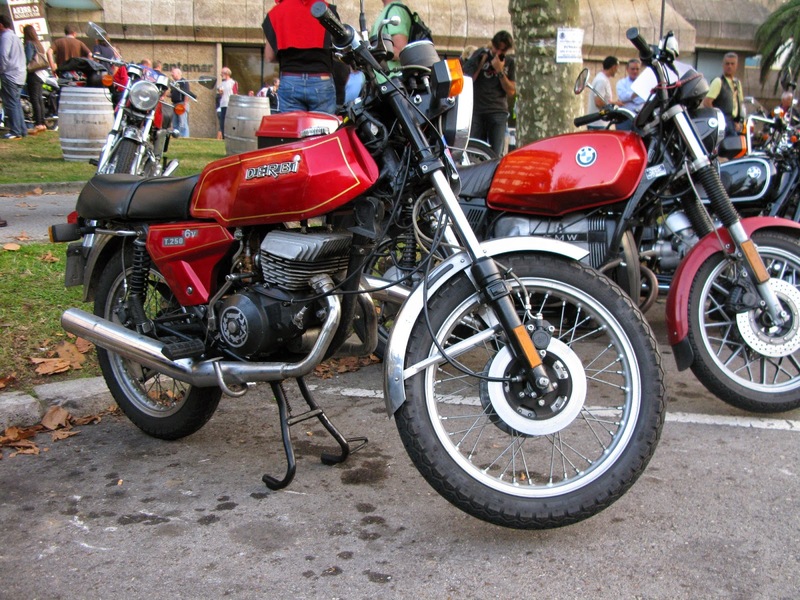 I wore them throughout most of the Moto Piston Santander Rally. The weight of the denim combined with the kevlar lining means that they keep the chill off nicely. 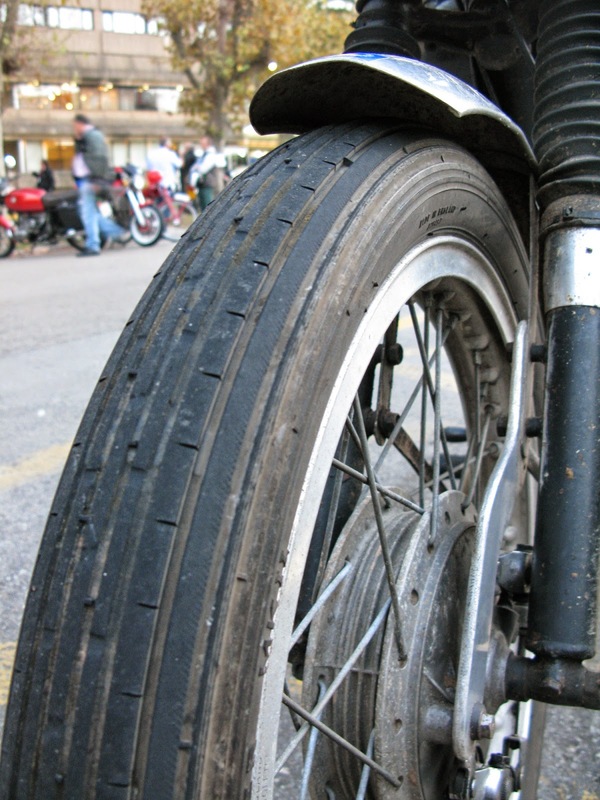 They're pretty much just right for three season riding trousers, on the very hottest days you might be a bit too warm off the bike but then again you will be in most other motorcycle legwear too and how many of those days do we get in the UK! Overall, excellent jeans that have been thoughtfully designed with an eye for detail, well made, good protection and most importantly look great. Have a look at the Maple site. 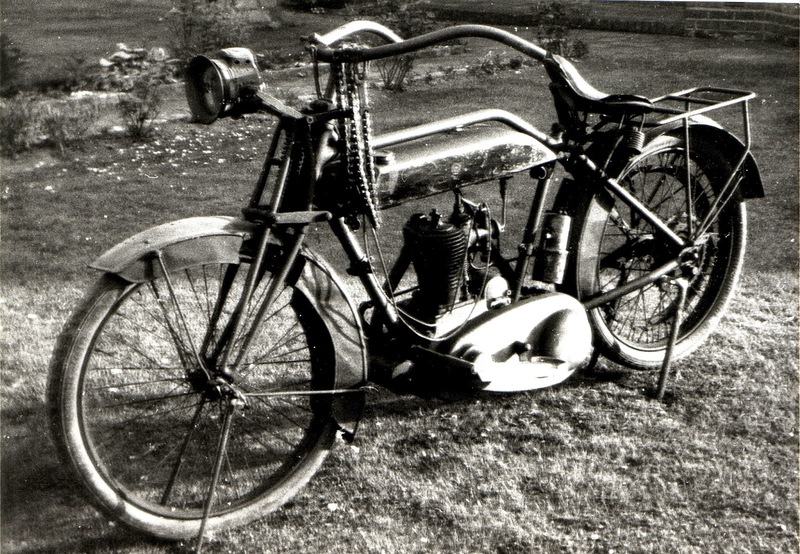 Unsual bike, unusual photo. 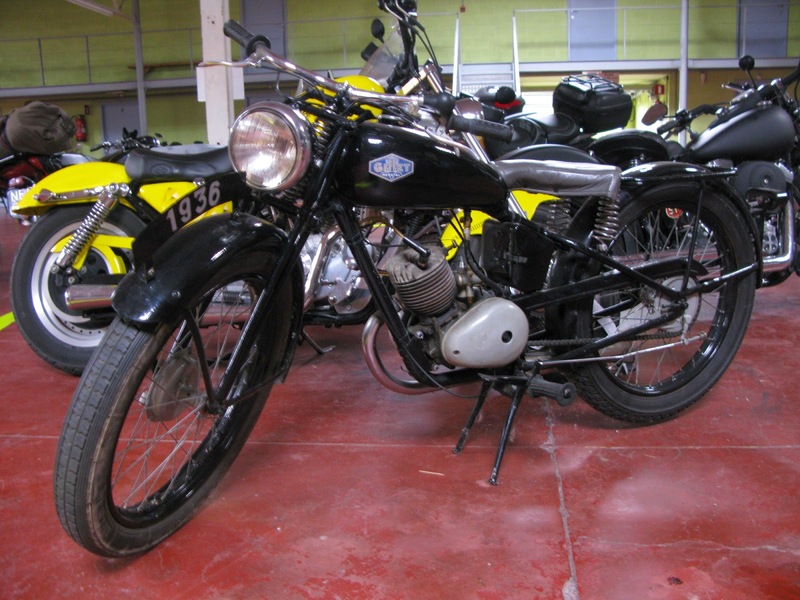 It's a mid fifties Excelsior Talisman Twin, a twin cylinder 250cc two stroke. Acting all casual with a Talisman Twin. 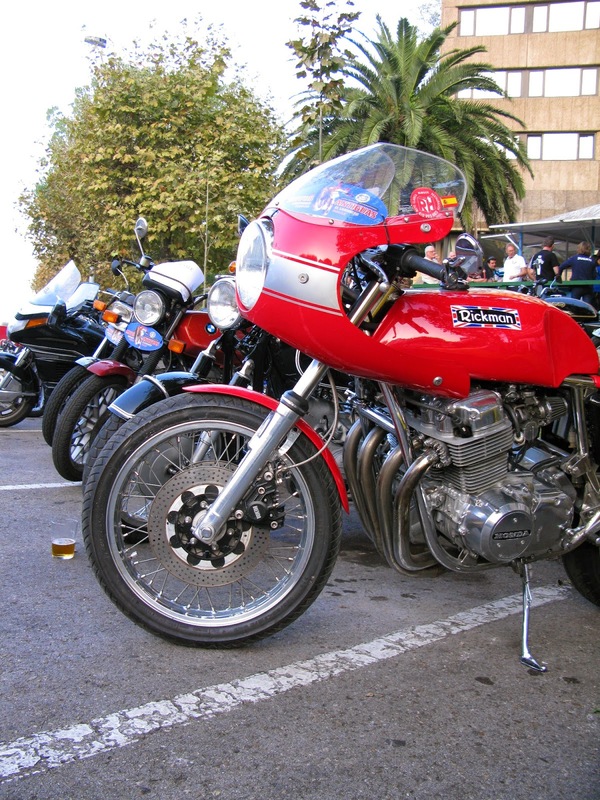 I took my '61 Norton Dominator and '55 Bantam over to Spain. 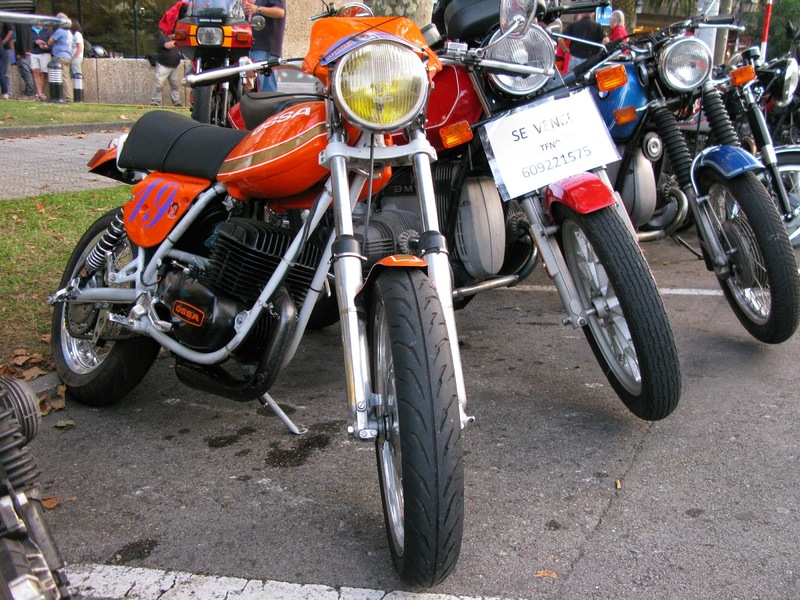 I rode the Dommi for most of the Rally but decided to use the Bantam for the 5000 Curves. 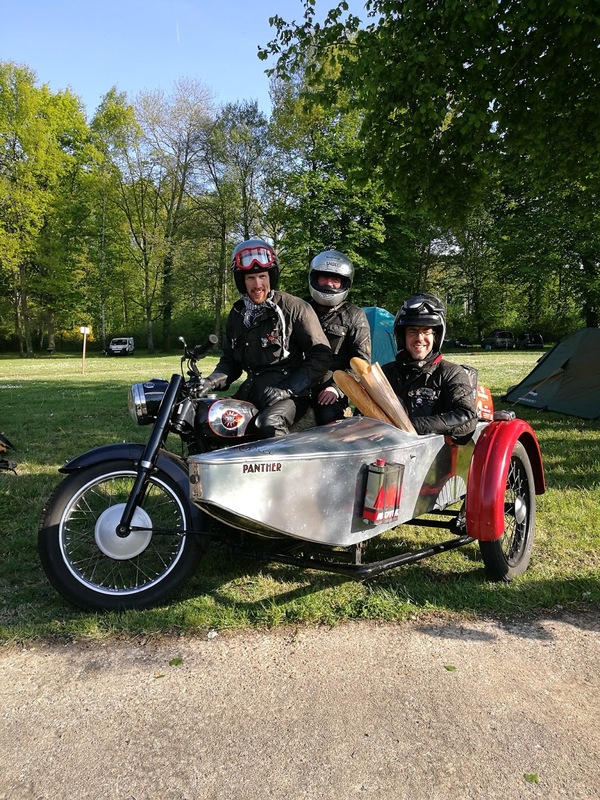 The Bantam represented a greater challenge to get around but the light weight means it is a lot of fun and quite useful on the twisty bits. 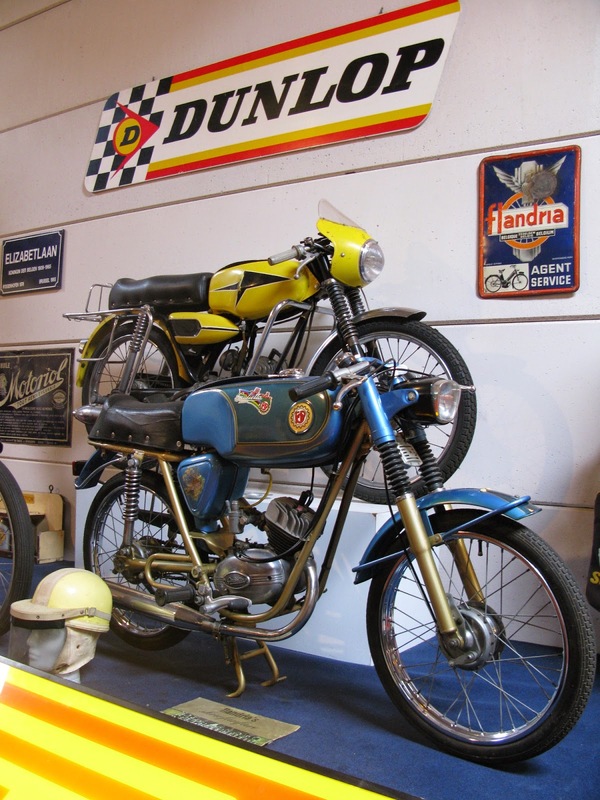 The two greatest issues in using the Bantam were the comfort (there's not a lot) and managing to find enough fuel stations up on the quiet mountain roads (the small tank and tuned two-stroke engine make for an appalling range). 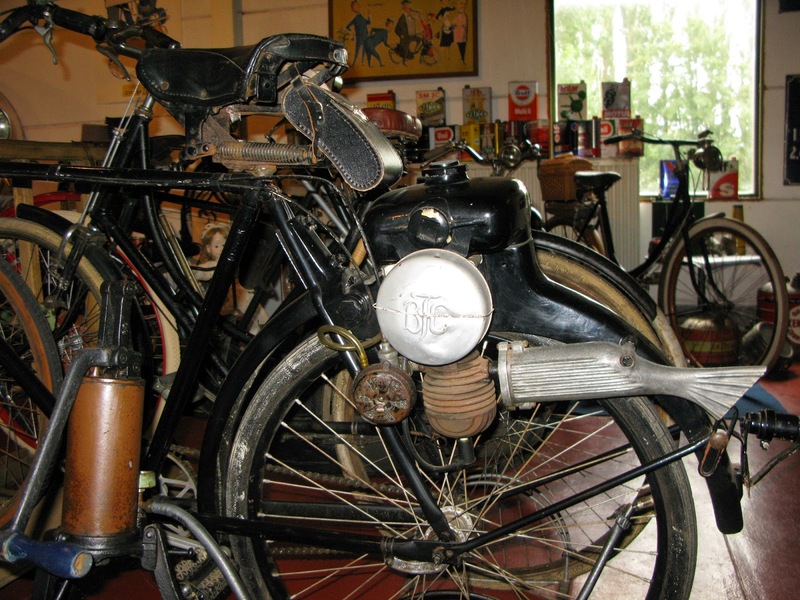 At the end of the day the Bantam was twelfth bike in mixing it with considerably more modern and larger machinery. The 530km took roughly 10 and a half hours so, give or take, a 50km/h average through the hills, timecheck stops, coffees and bocadillos included. 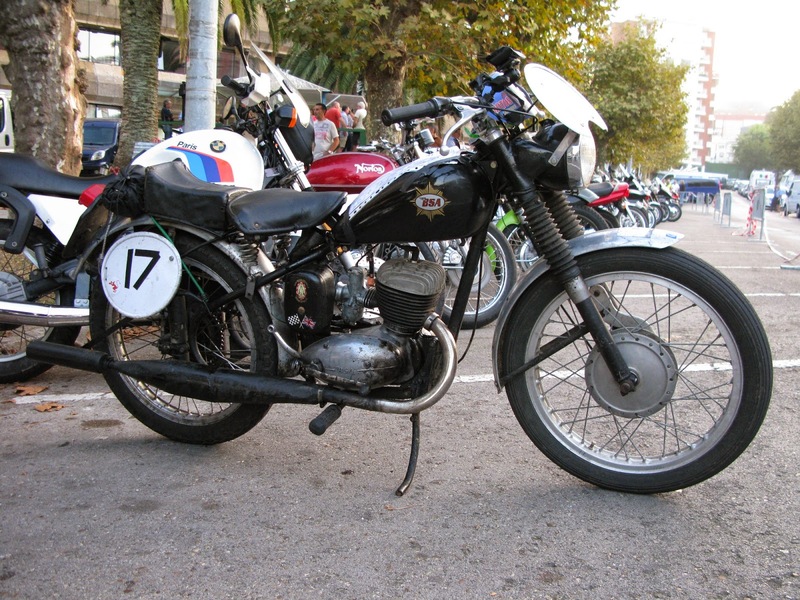 Not bad on a small bike nearly sixty years old. A really fantastic event. 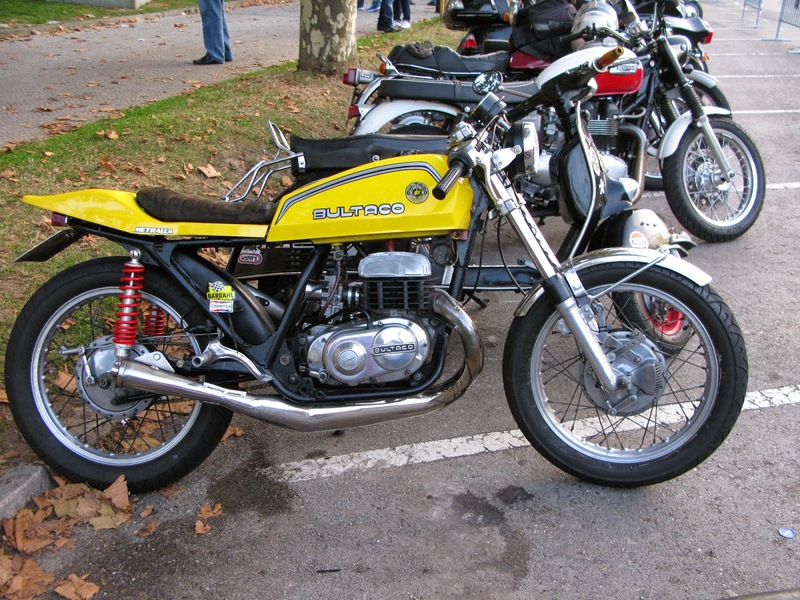 Many thanks to Moto Club Piston for organising. 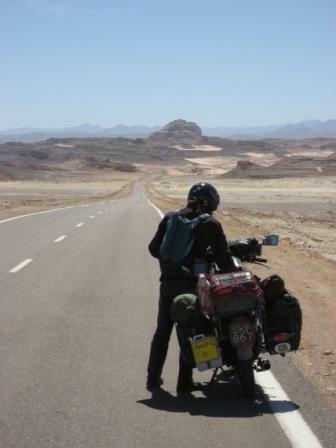 Here are a few pictures from the day though none of the riding - head down none stop all day! 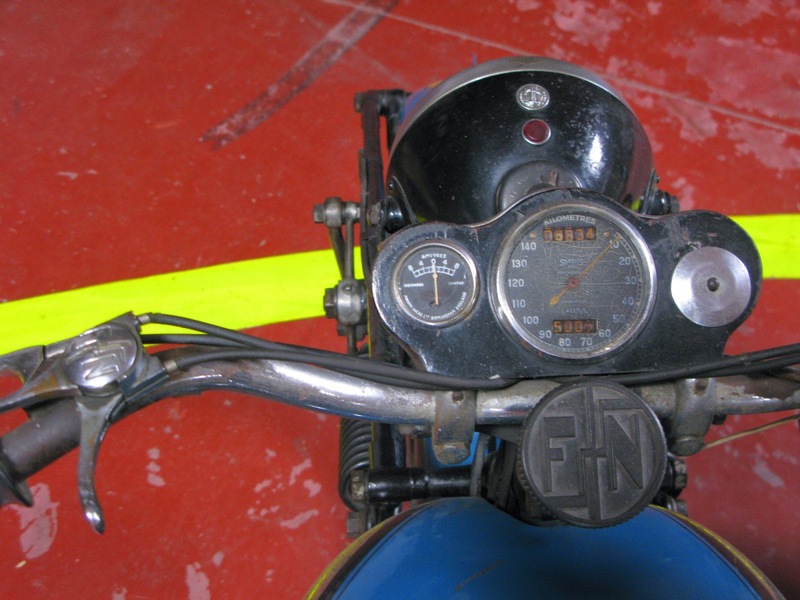 Check this - Speedmaster worn right to the edge! rode the 5000 Curves though. 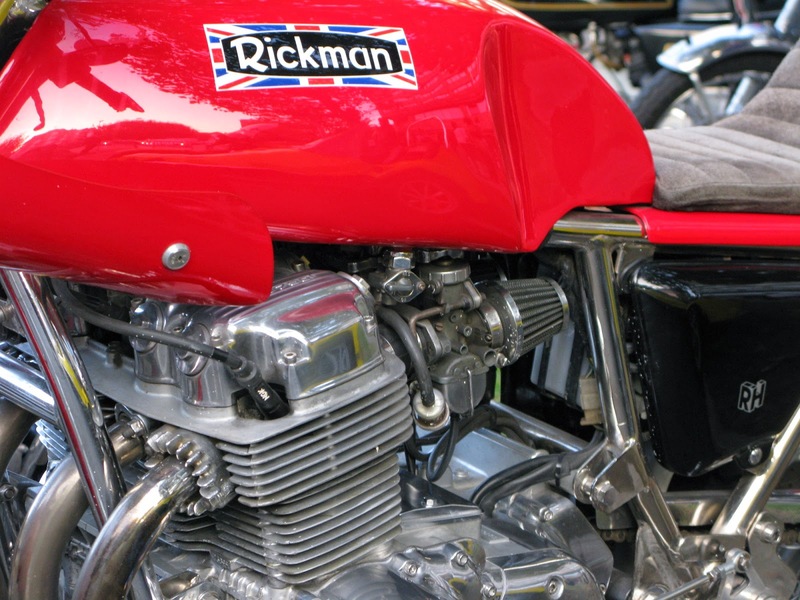 Close up on the Rickman Honda. 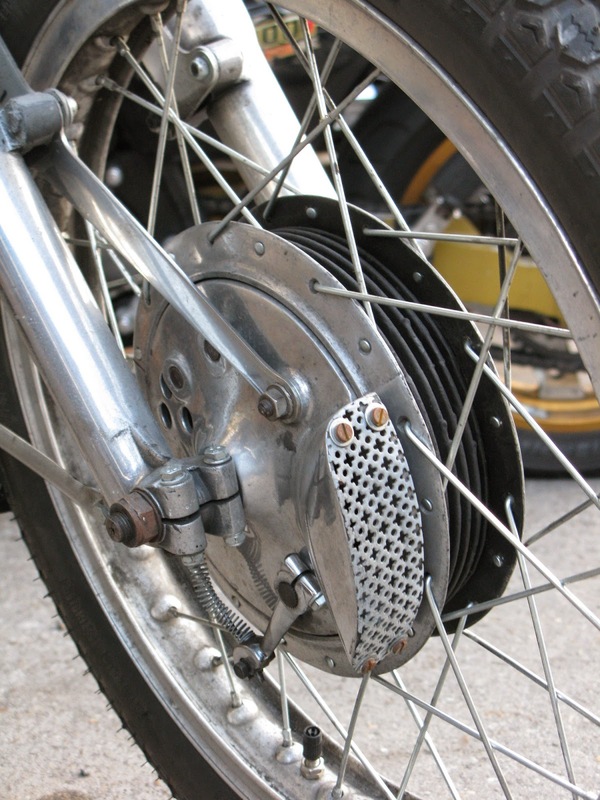 diminutive twin discs at the front. 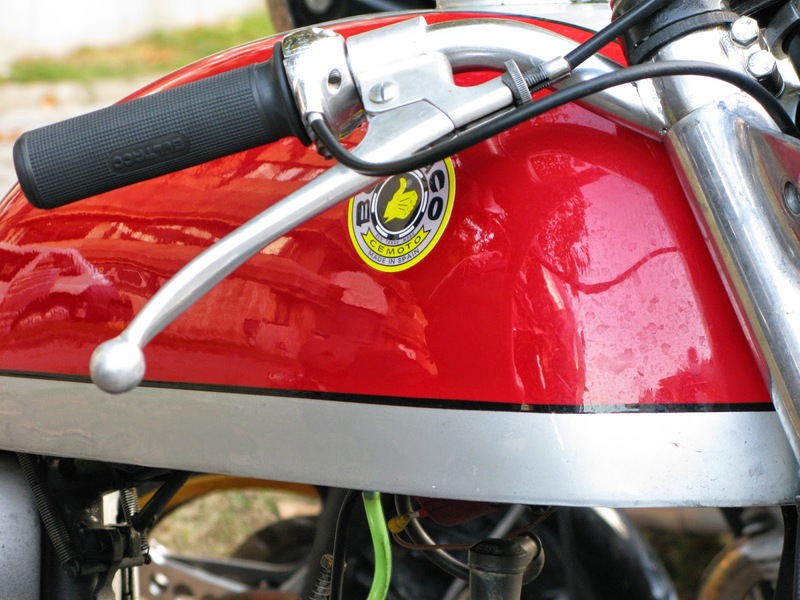 Close up on the Derbi T250. 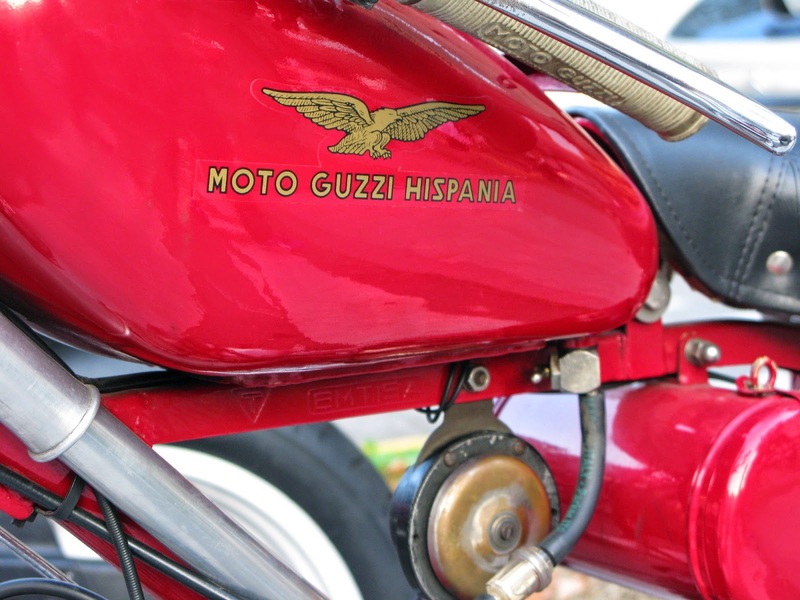 were made under license through Hispano Villiers. 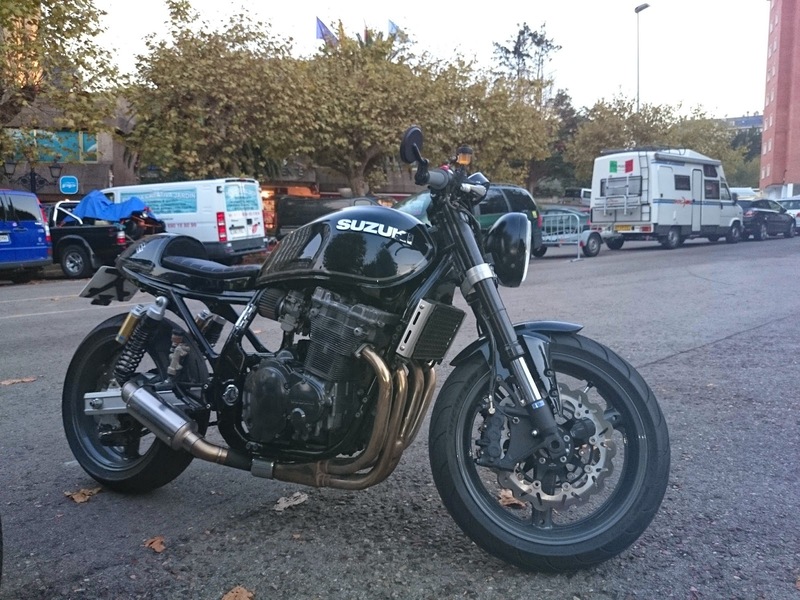 Well executed Suzuki GSX cafe racer parked up. some tlc the evening before the 5000 curves. 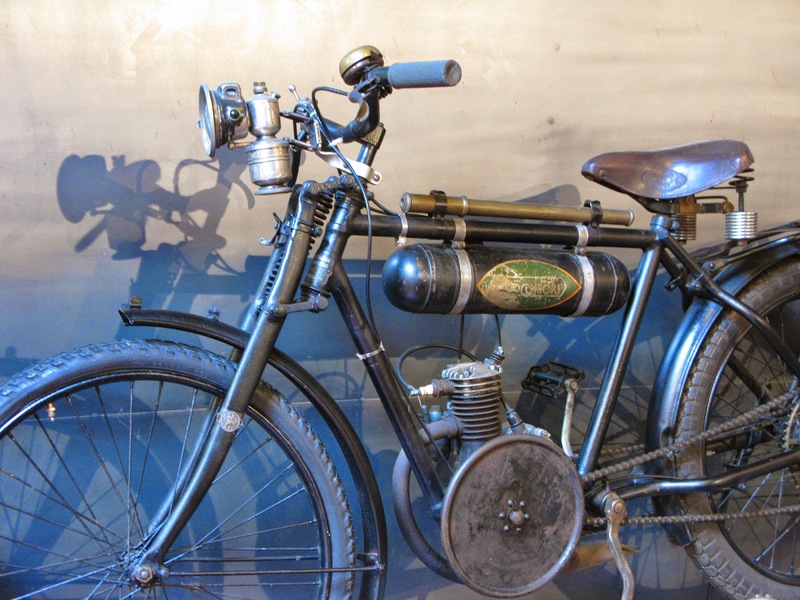 The bike completed the event without issue.